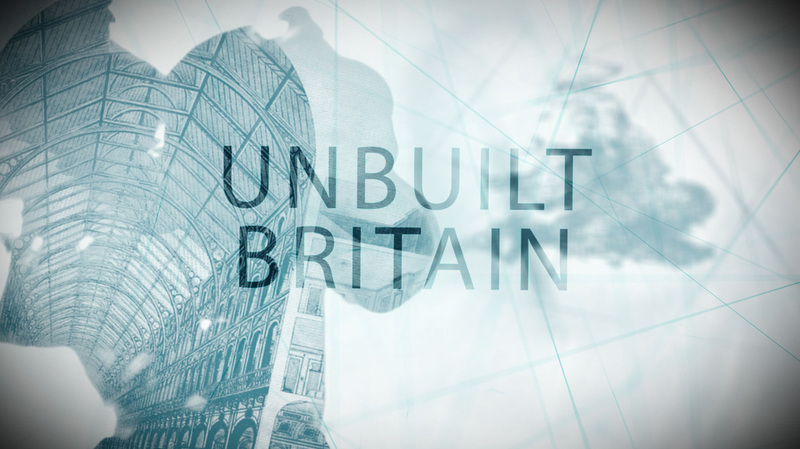 Dreaming the Impossible: Unbuilt Britain was first broadcast on BBC4 in 2013 and was my first foray into making TV. In this three-part series, I uncovered the architectural Britain that might have been. Over the centuries scores of schemes have been drawn up by architects, planners and engineers, but have never made it off the drawing board. I looked at a variety of these proposals from the seventeenth century to the present day, finding out what inspired them and why they were never realised. The series was made by the splendid team at Timeline Films with graphics produced by Playdead. You can find out more about the programmes and see clips here. Episode One explored Joseph Paxton's plan of 1855 to build a ten-mile glass girdle around London. It was an ingenious design to solve transport problems in the capital that drew on his experience as a designer of glasshouses and advances in glass technology. Similar urban circulation problems were addressed by Geoffrey Jellicoe's Motopia of 1960 - an ideal city intended to keep cars and pedestrians safely apart. Paxton's plans were approved but overtaken by other priorities, while Jellicoe's scheme ultimately found its expression in Milton Keynes. Episode Two investigated two engineering schemes designed to transform connections between Britain and the rest of the world. One was the early twentieth-century proposal for a ship canal that would have run from the west to the east coast of Scotland, allowing warships to travel more quickly from the shipyards to the likely theatre of war. Links between Britain and the rest of Europe also determined early schemes for a Channel tunnel – and fears about compromising the security and sovereignty of our islands held it back for centuries. Episode Three examined plans for the rebuilding of cities: the various proposals after the Great Fire of London in 1666, and the 1940s scheme to improve the quality of urban life in Glasgow by bulldozing its Victorian core – including buildings by Alexander ‘Greek’ Thomson and Charles Rennie Mackintosh – and replacing it with high-rise towers. In the event, pressures of time and finance meant London was rebuilt along the medieval street plan, and in Glasgow an alternative solution was found in the creation of ‘New Towns’ on the city’s outskirts.